The ON-MN Boundary Waters Fisheries Atlas – Collaboration at its Best! For more than thirty years, Fisheries Managers and Biologists from Ontario and Minnesota have worked together to manage the fisheries within the shared waters along the International border, with the help of the joint Boundary Waters Fisheries Atlas. 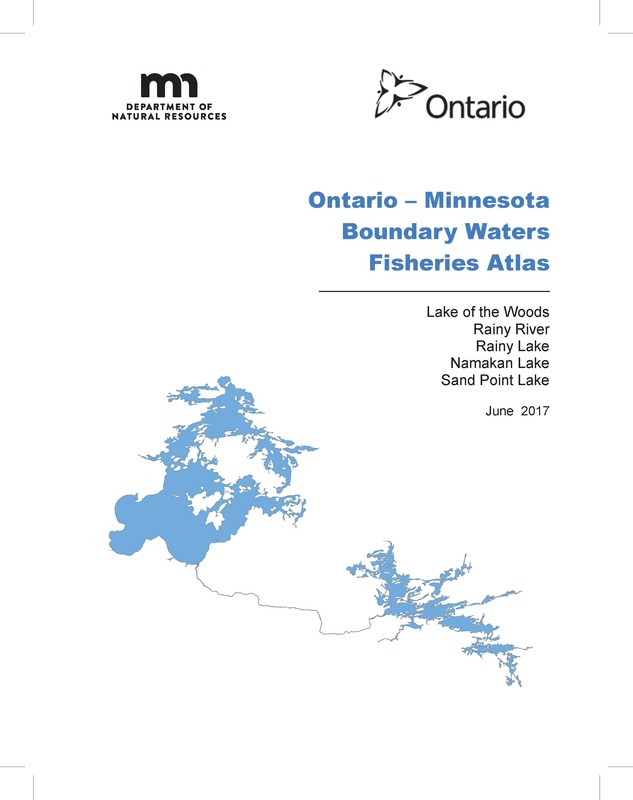 Working under the direction of the Ontario-Minnesota Fisheries Committee (representing the Ontario Ministry of Natural Resources and Forestry and the Minnesota Department of Natural Resources), the Atlas was created to provide the necessary background information to allow development of options for managing these border waters fisheries. A secondary purpose of the Atlas was to share information with stakeholders, resource users and the public. The Atlas was first published in 1984 with updates in 1992, 1998, 2004, and 2017 and covers the shared boundary waters of Lake of the Woods, Rainy River, Rainy Lake, Namakan Lake and Sand Point Lake. There will be a presentation on this at the Watershed Forum in March 2018, with a focus on the history of the Atlas, its content, function and thoughts on how to achieve its purpose in the digital age. For more information on the Committee or the Atlas, or to request a copy, please contact Kevin Peterson, MDNR, Area Fisheries Supervisor at kevin.peterson@state.mn.us.